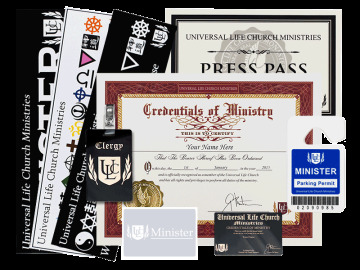 While our ordination is free, it is sometimes necessary for ULC ministers to prove their ministerial status with ministerial documents and supplies. 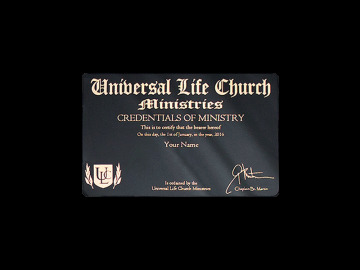 We have partnered with the Universal Life Church Monastery to help our ministers acquire all of the necessary supplies and credentials they need to perform their ministerial duties. The ULC Monastery a wide variety of spiritual education books, training materials, tax guides for churches, religious texts, and sample sermons, among many other helpful ministry supplies. 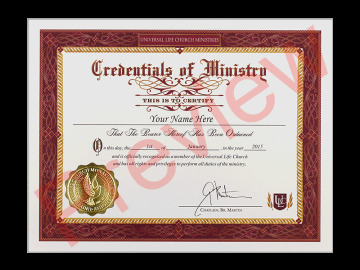 Most importantly, they can also provide you with the legal credentials you need to start your own ministry or legally perform wedding ceremonies. 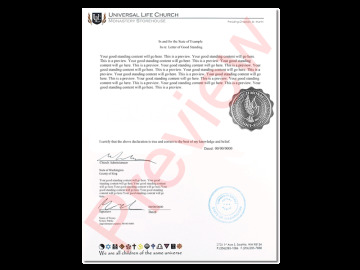 This includes your ordination credential, letters of good standing, wallet ID card, wedding certificates, and many other items.